Typically, otherwise loyal employees routinely leave their beloved coworkers and benevolent boss for a 15 to 20 percent base salary increase, with sign-on bonus and stock. Clinical professionals count on continuous increases to attain the middle-class lifestyle. However, recruiting and retaining top clinical research associates (CRAs) are especially challenging in the San Francisco Bay Area, where I’ve been recruiting for two decades, because of competition among several hundred biopharmaceutical and medical device companies. High living costs prohibit relocation of almost all eligible candidates from the rest of the country and probably the world. As a consultant, I have a different perspective on the costs of recruitment and retention than when I was a hiring manager. When helping sponsors turn around troubled teams and trials, I first seek to understand root causes for failure. Poor CRA retention is often a root cause for trial failure. A few years ago, I was at a company plagued with high turnover because of reorganizations and staff changes. I inadvertently learned of delinquent update reports that were years overdue. The original team of CRAs and director exited the company and the surviving clinical manager was reassigned. Transfer of responsibilities, accountability, and follow-up failed in the transition. Tracking documents, emails, and phone reports were lost. This disaster illustrates the worst-case scenario with staff turnover. The transition triggered the most common failure modes related to staff turnover, manual tracking, and poor accountability. Recovering and reconstructing information required nine months for a team of five to collect, investigate, and report. My rough estimate of the cost of labor, recovery of lost data, and late reporting totals in the hundreds of thousands of dollars. Executives can avoid costly rescues by implementing a few hacks to mitigate the risks. Three simple hacks provide hedges against CRA turnover at the most critical time in the program. I have repeated the success of these hacks at client companies and with my own CRA staff at several companies. 1. Dig a moat, deep and wide. Many companies require CRAs to be in the office during local business hours. This old-school thinking isn’t relevant to CRAs on global studies that span multiple time zones and continents. Global CRAs can be assigned studies with European, U.S., and Australian sites and vendors. Meetings and emails continue 24/7/365. Company culture that requires daily office attendance results in needless hardships to CRAs already under deadlines and timeline pressures. The San Francisco Bay Area and Los Angeles have the worst commuter traffic in the country. The daily average commute in the Bay Area is between 2 and 3 hours per day. A typical work week with commuting is 60 hours. Working remotely one day per week and driving during non-rush hours can save as much as one day per week in time on the job. A flexible work arrangement — a combination of flexible work schedule and working remotely — is another hack that costs almost nothing but is effective for retaining CRAs and fending off competitors. After I implemented flexible work arrangements for my CRA team, they committed to higher productivity to keep this benefit. My employee survey and published research confirmed observations of higher productivity.5 I quantified productivity improvements of 30 to 50 percent. Cost of implementation was a signed agreement on performance expectations and accountability. The ROI for the negligible cost of a flexible work agreement was at least 30 percent productivity improvement. Optimization didn’t require capital equipment or special software. Flexible work arrangement is scalable and results were repeatable. Several CRAs informed me that they didn’t waste time listening to recruiters because most competitors didn’t allow remote work and flexible hours. Recouping one day per week is worth more to them than a 20 percent raise. 3. Invest in CRA engagement. executive congratulatory emails on promotion. One of my CRAs asked for training in U.S. clinical regulations. At the time, less than half of my CRA staff achieved professional certification in U.S. clinical regulations. Our first cohort of eight CRAs committed to taking the professional certification exam in three months. Each person was responsible to teach the rest of us a section of the regulation and share sample test questions and solutions. Our average exam score was 91 percent, with a 100 percent pass rate. Each CRA was awarded a company gift card and a framed certificate that was prominently displayed in our department. In summary, CRA retention costs aren’t daunting or expensive when considered in the appropriate context. CRAs contribute to the organization’s strategic competitive advantage when engaged, appreciated, and well compensated. Removing work barriers, such as long commutes, and encouraging flexible schedules removes friction from high productivity. Many companies accept “normal and expected” CRA attrition of 10 to 20 percent as the cost of doing business. Successful companies consider CRA recruitment and retention to be “a two-way labor of love: a culture of reciprocity.”6 CRAs will reciprocate your investments of flexibility and compensation with high retention, innovation, and high performance. I’ve enjoyed over 90 percent retention when I implemented all three hacks. High performance and retention can only be continued when leadership remains vigilant. I’ve seen my previous organizations become distracted, and as a result, employee engagement erodes. Low retention occurs because of competition for talent. 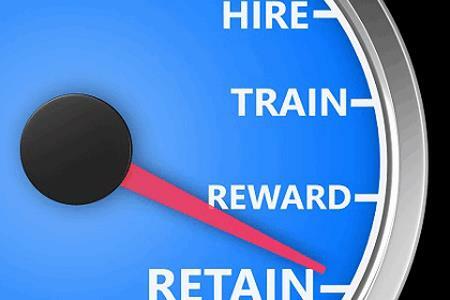 Positive results are attainable when company leaders consider retention as a competitive strategy worth the investment of time and resources. 2016 Talent Integration: California Workforce Trends in the Life Science Industry. http://www.califescienceworkforcetrends.org. State of the American Workplace Report (2016). http://www.gallup.com/reports/199961/state-american-workplace-report-2017.aspx. Why Happy Employees are 12% More Productive, by Revesencio, J. (2015) https://www.fastcomany.com/3048751/happy-employees-are-12-more-productive-at-work.